EghtesadOnline: The European Union has outlined measures it has taken to counter the effect of US unilateral sanctions against Iran. The measures were explained in a speech delivered by Commissioner for Justice, Consumers and Gender Equality Vera Jourova on behalf of the High Representative of the Union for Foreign and Security Policy Federica Mogherini, during the European Parliament Debate on the extraterritorial effects of US sanctions on Iran for European companies. "First, we have updated our Blocking Statute to ensure that business decisions are not determined by the listed US extraterritorial legislation, which the union does not recognize as applicable to EU operators. The commission has significantly engaged with economic operators and member states on the implementation of the statute. Second, we have extended the European Investment Bank's lending mandate. This allows the bank to lend in Iran in the future, in line with relevant rules and procedures. Thirdly, the European Commission is elaborating a range of activities to strengthen the activities of small- and medium-sized enterprises between the EU and Iran: We are working on technical exchanges to enhance trade, harmonization of standards, and due diligence and compliance efforts," the European External Action Service reported on its website. The United States has reimposed economic sanction against Iran branded as" toughest ever" after US President Donald Trump announced in May his unilateral withdrawal from the nuclear deal Iran signed with world powers (formally known as Joint Comprehensive Plan of Action) in 2015. The renewed sanctions came in two waves, one in August and the other in November. The second wave covers a wide array of sectors, and together with the designation of some 700 individuals and entities impact large parts of the Iranian economy. According to Jourova, they are a serious challenge to the continued implementation of JCPOA. "The reimposition of US sanctions may also bring substantial collateral effects. In particular, it could weigh on the region's trade flows, energy supplies, connectivity and ultimately the security and stability of states such as Iraq and Afghanistan," she added. Referring to the newly-devised mechanism called Special Purpose Vehicle, the EU official said, "We Europeans cannot accept that a foreign power—not even our closest friend and ally—takes decisions over our legitimate trade with another country. 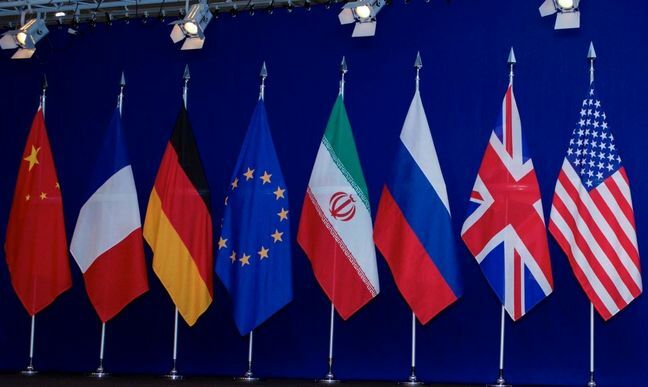 The ongoing work—led by France, Germany and the United Kingdom—aims at preserving the full and effective implementation of the JCPOA in all its aspects and in line with UN Security Council Resolution 2231. But protecting legitimate trade is also a basic element of our own sovereignty and it is only natural that we are working in this direction." A special clearing house designed to allow European companies that trade with Iran to bypass newly reimposed US sanctions will be set up in Europe within months, possibly in France or Germany, The Guardian reported last week. Yet, EU diplomats were quoted as saying by Reuters on Wednesday that the SPV faces possible collapse with no EU country willing to host the operation for fear of provoking US punishment. The main European powers—Germany, France and Britain—will raise pressure on Luxembourg to host the SPV after Austria refused to manage the plan, threatening its viability. Austria has declined a request to play host to SPV. Belgium and Luxembourg are two other possibilities, but both have expressed strong reservations, diplomats said, although they have not commented publicly. Their reluctance arises from fears that SPV reliance on local banks to smooth trade with Iran may incur US penalties, severing the lenders’ access to US markets, diplomats said. Luxembourg is seen as a good candidate to manage the Iran SPV given its experience setting up a similar mechanism during the 2009-12 eurozone financial crisis. "This is a hugely complex and unique undertaking, requiring the best expertise available. Technical work has been advancing over the last days and weeks, under the political leadership of member states and supported by the EEAS and the commission. Our goal is to build something that is workable, effective and viable," Jourova said. European banks and firms who engage in a special European Union initiative to protect trade with Iran will be at risk from newly reimposed US sanctions, the US special envoy for Iran warned a day after Jourova's statement on Thursday. It is “no surprise” that EU efforts to establish the Special Purpose Vehicle for non-dollar trade with Iran were floundering over fear in EU capitals that hosting it would incur US punishment, Special Representative Brian Hook was quoted by Reuters as saying. In remarks that apparently brushed aside Hook's threats, Jourova said the Special Purpose Vehicle is not directed against the United States. "On the contrary, preserving the nuclear deal is essential to our common security—both for Europe, for the United States and for our friends in the Middle East," she said. "The Special Purpose Vehicle is not circumventing sanctions. It is about working in full transparency, ensuring due diligence for the most rigorous standards on anti-money laundering and on countering the financing of terrorism, in full respect of UN Security Council resolutions and the primacy of the EU law."